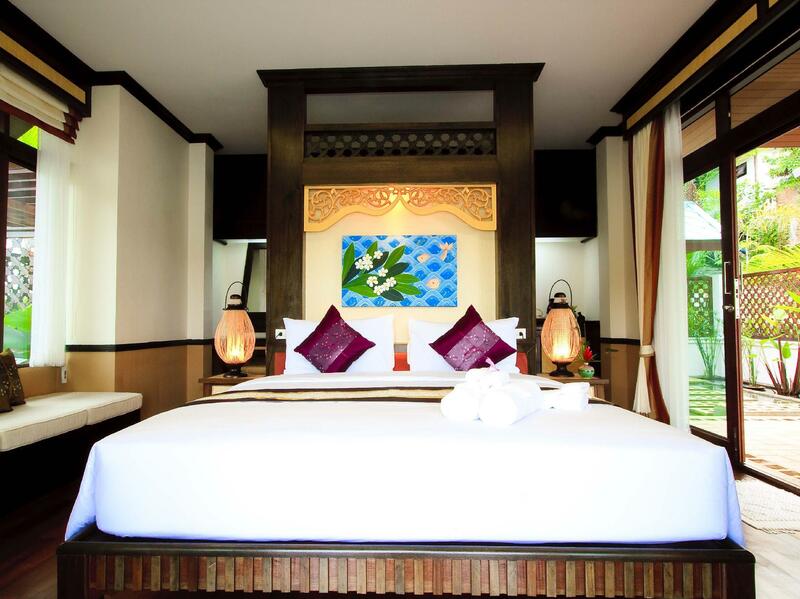 ﻿ Book Salad Buri Resort & Spa (Koh Phangan) - 2019 PRICES FROM A$78! 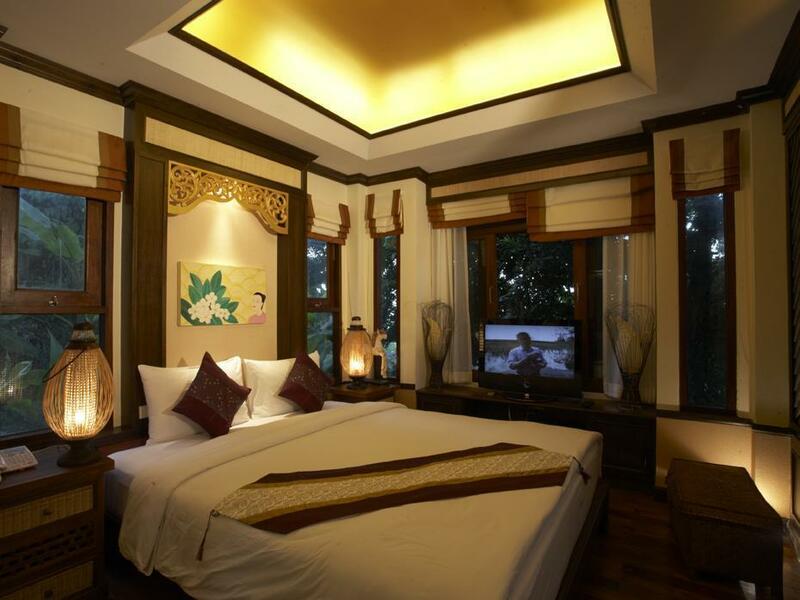 Have a question for Salad Buri Resort & Spa? 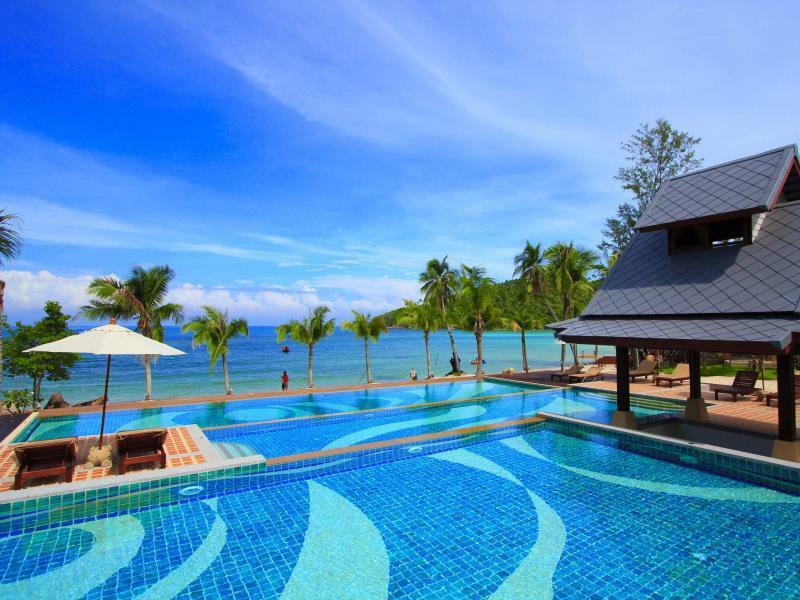 Famous for its Full Moon parties, the island of Koh Phangan is also home to some luxurious resorts. Literally steps from the beach, Salad Buri Resort & Spa on Salad Beach lets you take full advantage of the sun, sea and sand. The island also includes a few attractions such as the 400 year old Wat Nai, Wat Kow Tham, and Kuan Yin Shrine. If you are feeling lazy, spend the day by the three-level pool sipping cocktails and enjoying the sun. After an exciting day spent exploring the underwater world or the surrounding area, head to the spa at the resort for a relaxing massage. 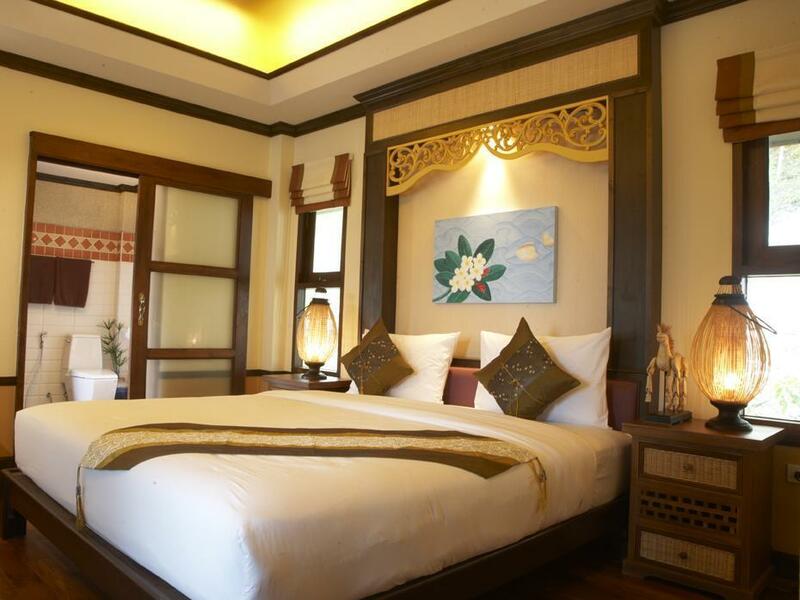 Guests enjoy a quiet, upscale location when choosing to stay at the Salad Buri Resort & Spa in Koh Phangan. The location is amazing, but then to be fair, the entire island is beautiful so that alone is not the reason for my positive review. The staff made this a special experience - without having to be asked, the automatically upgraded our rooms when they realised the scheduled pool renovation might inconvenience us. Nothing was to much trouble - very friendly and professional. Our upgraded room had its own little swimming pool and a beautiful sea view. The room itself was luxurious and staying here was an absolute treat! Decided to stay on for another few days as a result. Great food at the hotel’s restaurant and at a very good price compared to some of the other hotels we’ve stayed at in Thailand. Staff were friendly and room was great. If you would like to explore the island you’ll need to rent a bike which you can do at reception. Thoroughly enjoyed our stay here. this is second time we stay at Salad Buri, this place has its charm. rooms have beautiful view, bathtub on the balcony is very relaxing, our baby spent a lot of time in it. 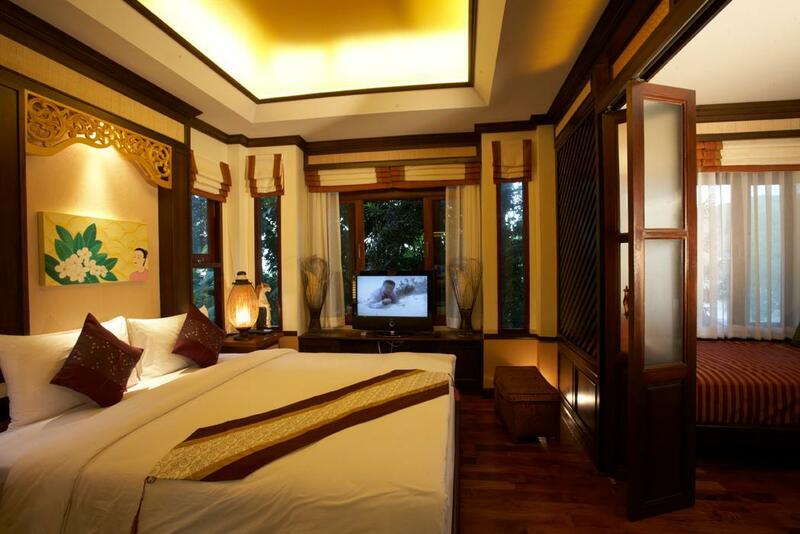 room is mostly wooden, nicely decorated, though it needs some renovation. swimming pool is huge, a lot of sunbeds. Beach in front of the hotel is not good, you have to walk at least to the middle of the beach for a good swim. Minimarkets are quite away and very expensive, I suggest Salad Buri needs their own convenience store. Stayed in the 2 bed pool villa on the lake. Wonderful location, peaceful and private. Staff were wonderful and so helpful. Food great and reasonably priced and would highly recommend a stay for a few days. Contact the management prior to arrival and they will arrange pick up at the pier. Beautiful location and great room with private pool. It's a hike up to the room (although it means you're rewarded with incredible views from balcony). The staff were always happy to drive us up to our room with the hotel cart. Breakfast buffet was a nice selection. Would definitely stay again. My boyfriend and I were very happy with our stay here. It’s a beautifully located place and a decent price. Over our trip we had some problems with transfer bookings and the staff helped us a huge amount to understand what to do. The food staff were also equally kind. The restaurant food was ok, great breakfast but some of the dinner menu wasn’t as great. However I’d highly recommend staying here for a peaceful and beautiful holiday. Beach front, amazing breakfast, beautiful beach (some stones, but super clear water), gorgeous sunset. The road to the hotel is steep downhill and the room itself is on a hill. Very clean, comfortable room, no balcony. Friendly staff. *Warning: this is not a 4 star hotel* Pros: the ocean view facing away from resort. *note there is no ‘partial seaview’ for the private pool villas as advertised. Cons: dirty, moudly, no maintenance, rude, unfriendly & unhappy staff. No manager. Mainly untrained Myanmar staff who do speak Thai or any English. Having lived in Thailand for years and travelled extensively, this was one of the worst experiences of my life. I’ve stayed in more clean, organized and friendly 1-2 star backpacker hotels 20 years ago. This hotel is nowhere 4 star. 2 star at best. Shameful service, marketing, lack of maintenance and lack of management. Highly unrecommended. Rooms are ok and spacious however want ridiculously deposit or passport for the key( never happened to me with any other hotel before) when i said i dont have 1000 baht and need to go atm they insisted on keeping my passport in order for them to give me the keys. Not a great start of my stay there, wouldnt go back. Like the other recent reviews I was disappointed with this place. The location is good, the beach is nice and the pool is okay. However there are numerous issues in the rooms, too many to mention. The staff are quite rude, unhelpful. The food is dire, breakfast buffet one of the worst I’ve had. It seems like no one there can be bothered to put the effort in to improve the place. I checked out early and would not recommend this place until they have new management that can put the effort in. It all looked good on the pictures and probably once it was all great there. I think the main problem is bad management there. Great double bath Jacuzzi on the balcony but not enough hot water to fill up the tub and the jets did not work. The list of small annoying things is long in and around the room. many of the actually friendly personal seem lost and without management. Poor food in the restaurant. It would not take very much to turn this place around but is does need work ! The area is also not the most interesting in Koh Phangan. totally fine location, nice beach - but rooms are old, showers have mold and mildew, water pressure is off and on - staff doesn't answer phone calls. Otherwise for the price hard to get too uptight, but def could use an update. My family and I (wife and 4 year old and 9 year old) stayed at the resort in a family bungalow with two bedooms and two bathrooms and loved it! 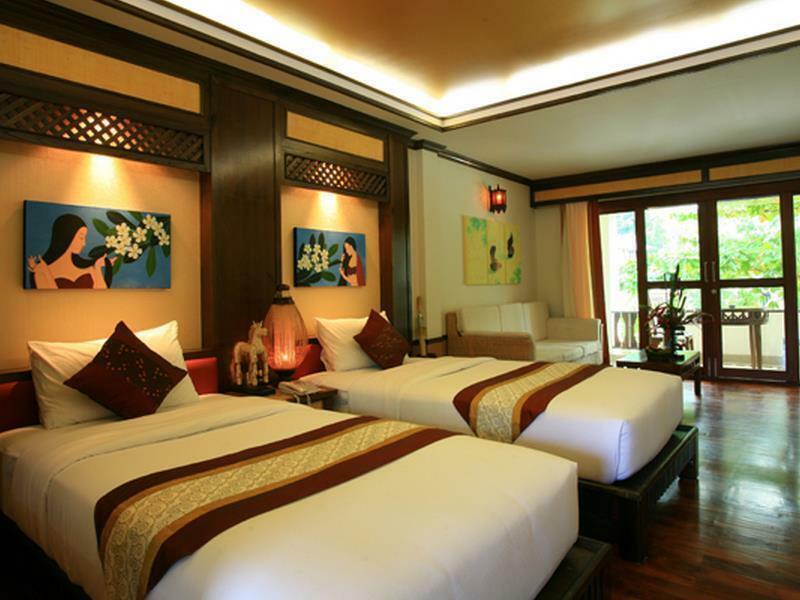 The resort itself feels very private, but is still right on the beach and away from the hussle and bussle of any towns. Many of the rooms are built on the side of a steep hill, but it really wasnt an issue. You just had to be organised to limit trapsing up and down the hill too often. Besides, the higher you were, the better the views. The resort is at one end of the beach, with a 15 minute stroll to the other end with at least 10 bars and restaurants between. We are already planning a return trip. not so much expensive with enough facilities. good restaurant in front of the beach, though the beach itself might be better in the north side than the south side, where is in front of this hotel. need to hire ore rent a car to go out to the other villages due to so hart breaking slope to the main road.